Leafy weeds engulfed Jose and Javier up to their chests as they tried to find the trail. It was as if a jungle popped up overnight. The normally stark, dry forest now appeared lush and tropical and the hiking trail that takes conservationists from Spectacled Bear Conservation (SBC) into bear habitat was concealed beneath a blanket of plants. A coastal El Niño had brought more rain in two months than had been seen in the last ten years and since then the environment had been flipped upside down; wet areas at higher elevation were so dry they erupted into forest fires while the dryer low elevations swelled with flood waters. The dry forest was now bursting with vegetation, including overo fruit which bears find particularly tasty. There, in the midst of this temporary Eden, the distinctively lean spectacled bears have gorged themselves, growing fatter than they’ve ever been. Spectacled bears in this part of Peru can hardly be described as plump. In fact, starvation is often a problem there, bears struggle to put on enough weight to make it through winter. These bears have a limited diet of mostly sapote fruit, which is unsustainably harvested by locals who use it for firewood. This year, the unexpected abundance of overo fruit allowed the bears to supplement their typical diet and pack on pounds. Bears around 175 lbs. ballooned to a hefty 300 lbs. This weight gain is tremendously good news for the bears’ survival this year, they live off their body fat for a six to eight-month period, so they must get as big as possible. Things look good for the bears this year, the danger lies in next year. Among the plants that blossomed from the flood are fast-growing vines that have enveloped the sapote fruit, cutting the bears off from their primary food source. There is an abundance of overo fruit this year, but overo isn’t seasonal, it’s an unpredictable food source; the bears require sapote to survive. There is sapote further away where it’s dryer, but those areas are more densely populated by people—shy spectacled bears would literally starve to avoid humans. To prepare for this potential sapote famine, SBC is planning ahead. The team is identifying areas where they think bears can find enough sapote next year; they are helping communities avoid those areas and encouraging them to collect firewood in places that would be unappealing to bears. SBC will maintain these activities with the communities and keep a close watch on the bears, making sure they stay as fat as possible, as long as they can. 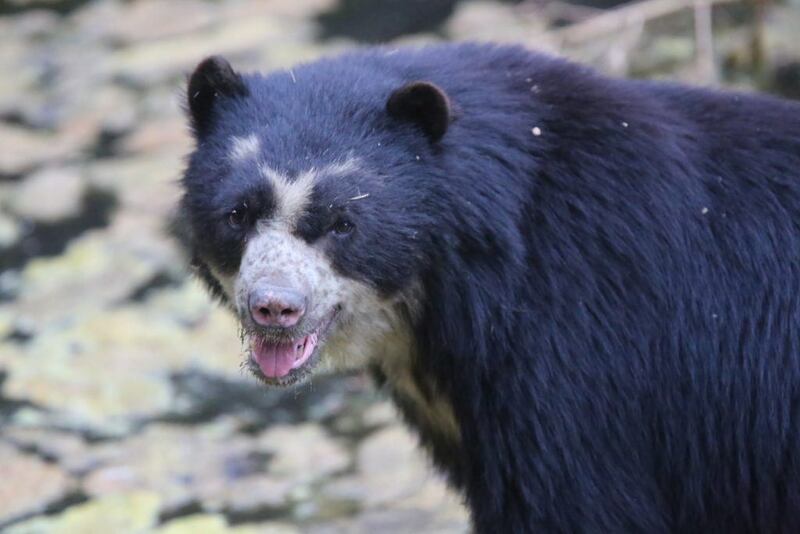 Learn more about Spectacled Bear Conservation.